Your Valentine is an athelete or a huge sport fan, s/he will be delighted to receive something this thoughtful and exquisite. 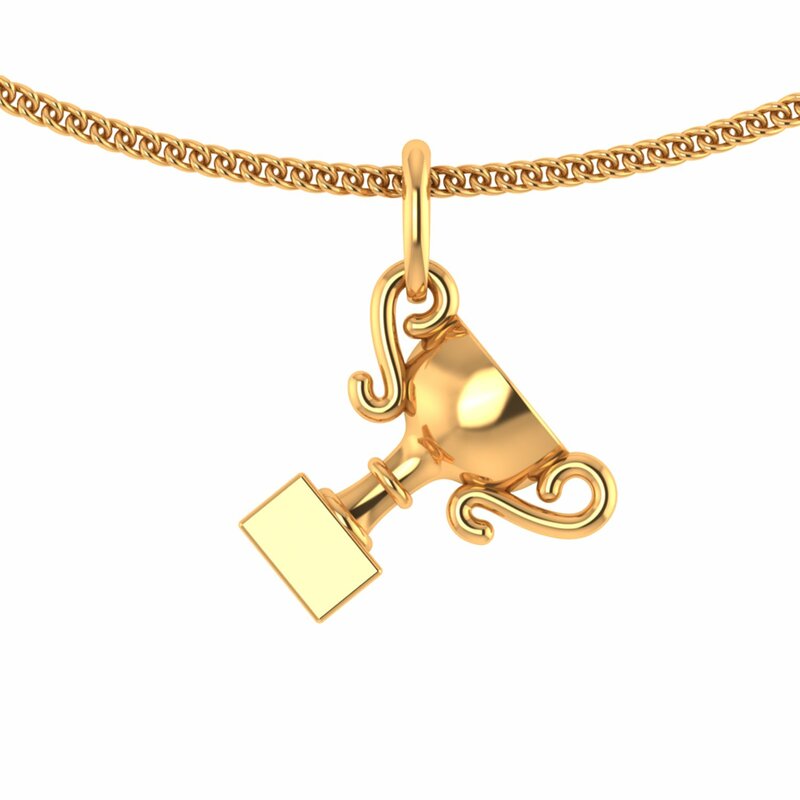 Carved in gold, this light-weight Trophy Cup Gold Pendant will not just add to their styling but also give away how much you appreciate their passion. What's more! It's light-weight, it's affordable and it's unisex too. So this Valentine, gift this pendant as a token of good wishes.